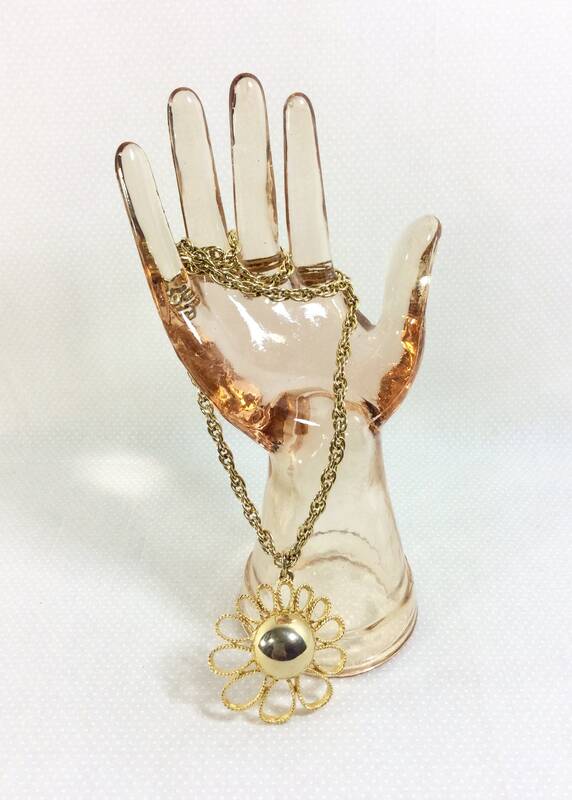 Let your inner flower child blossom with this fabulous vintage necklace! 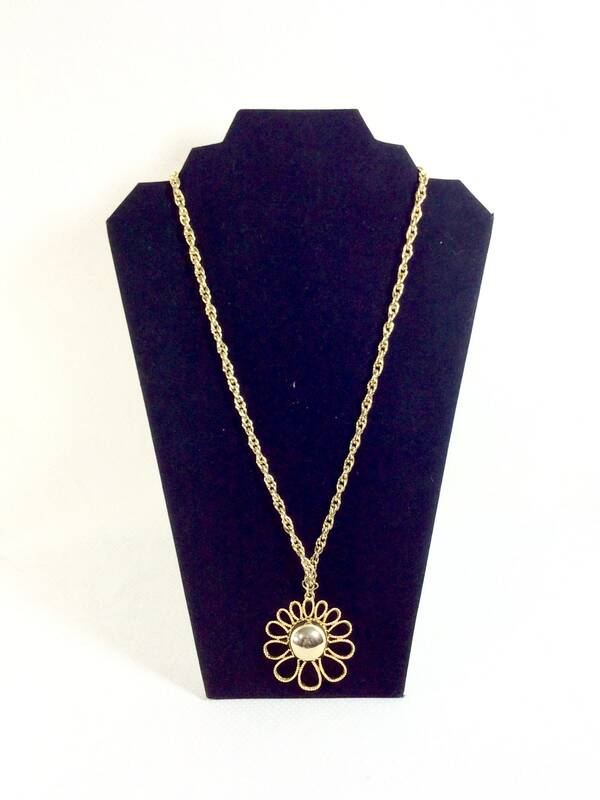 The necklace was made during the 1960s and is constructed from high quality costume jewelry materials. 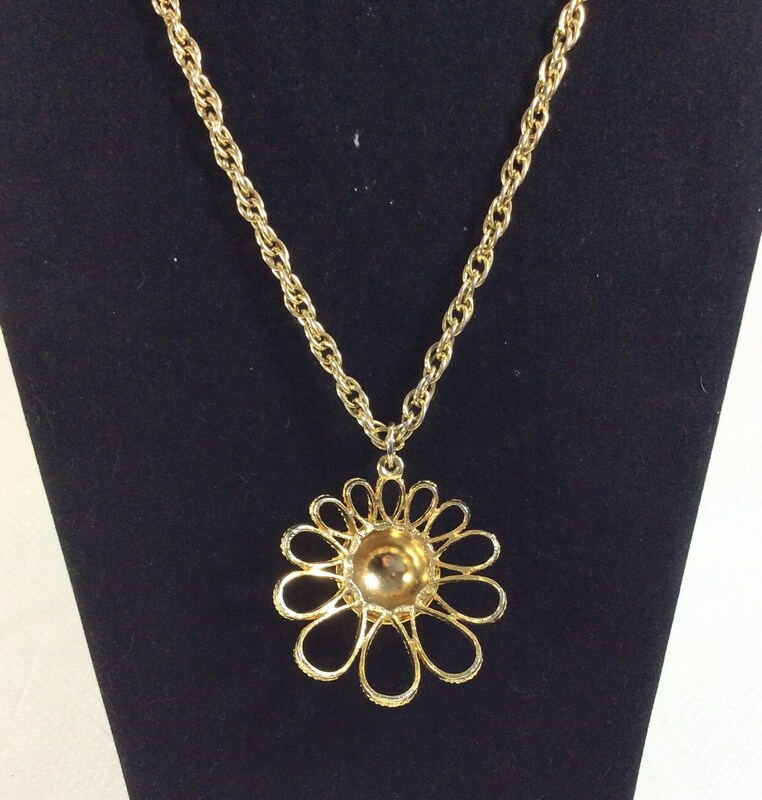 The star of this piece is the gold tone daisy pendant! 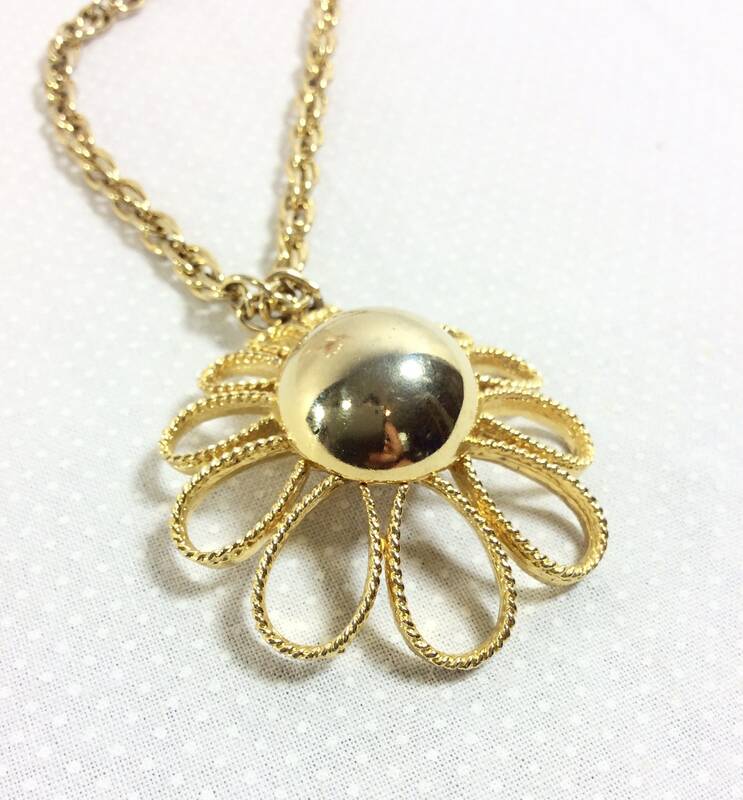 The center of the pendant is a dome shape that has a reflective "fishbowl lense" quality to it. The flower petals are asymmetrical, with smaller petals a the top and larger petal on the bottom. 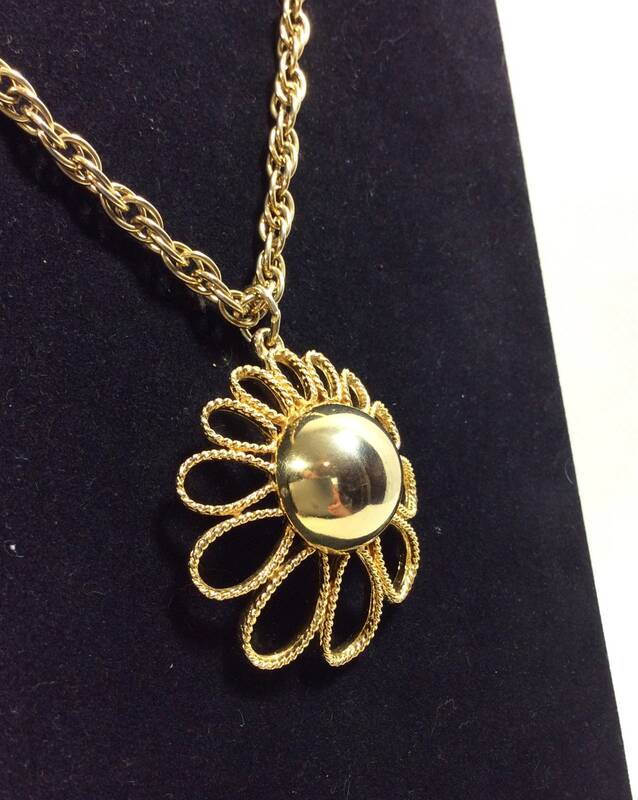 The petals are also textured with a roping design. 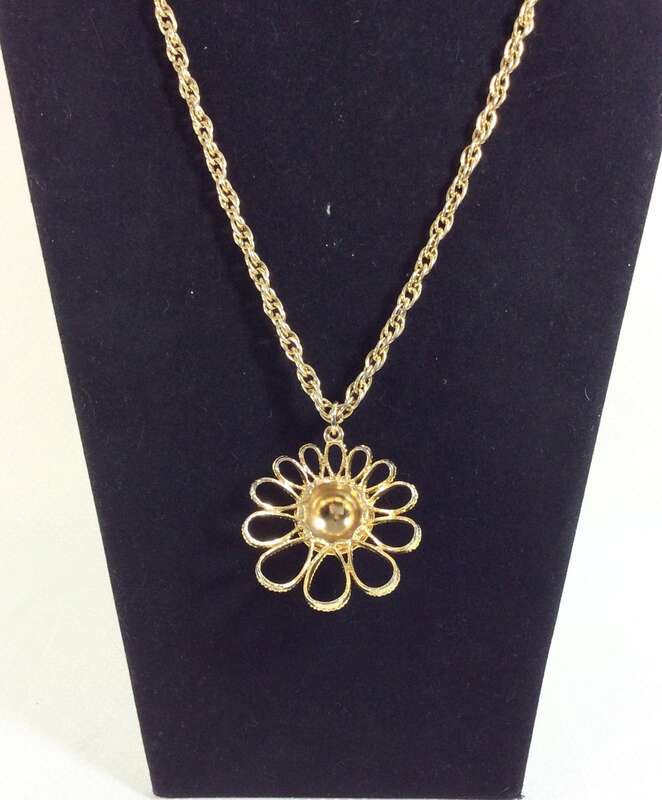 The daisy pendant measures 2 inches across. 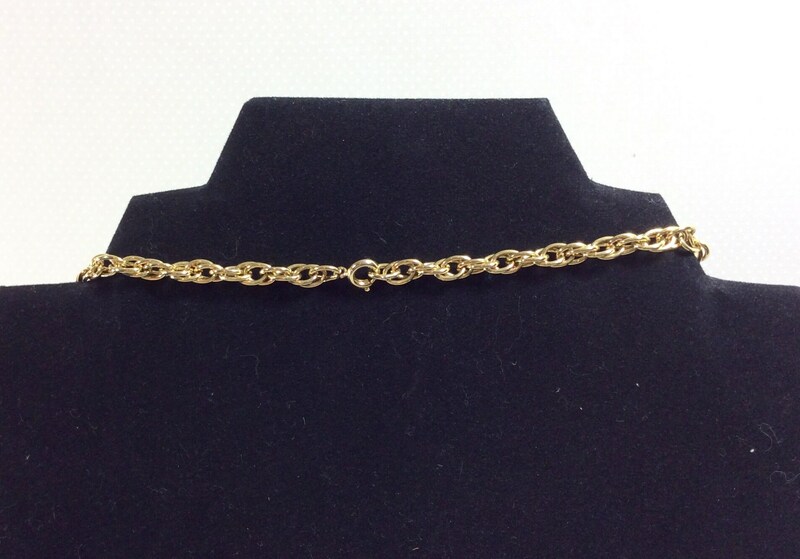 The chain measures 24 inches total in length, and hangs approximately 12 inches. The spring loop clasp works nicely, however you could probably slip the necklace over your head without having to fuss with the clasp. Both the pendant and the gold chain are heavy and well made. Aside from some minimal scuffing (shown clearly in the photos), this necklace is in excellent vintage condition. There are no scratches, or missing pieces, and it was stored in a smoke-free environment. 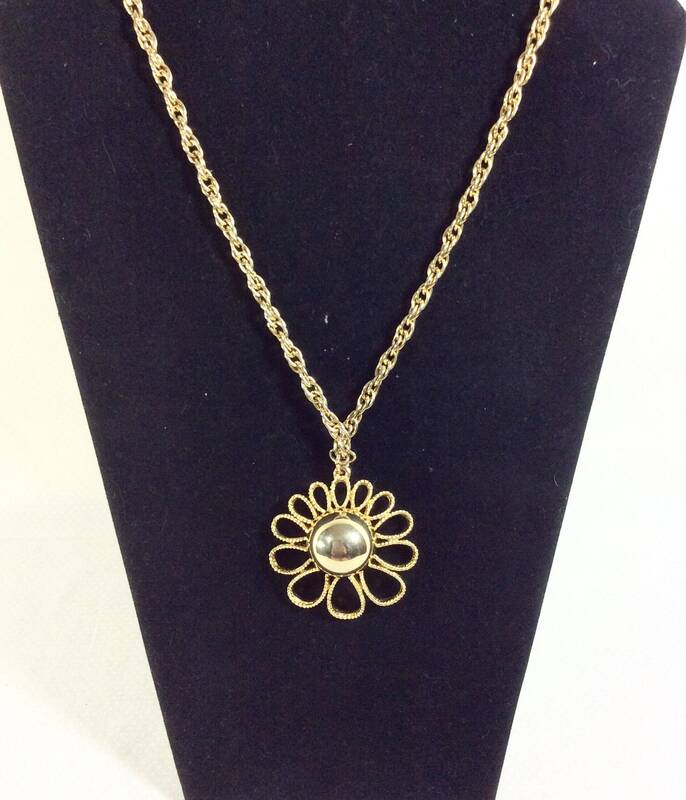 This necklace would make an excellent gift, or simply a nice way to treat yourself after a hard work week! It could also double as a fun costume piece for Halloween!